Lawn Care Plus makes it easy to view your account, pay an invoice, or order a new service. We shouldn’t swap one chore for another. Find your account log in options below, or call us to review your account details! 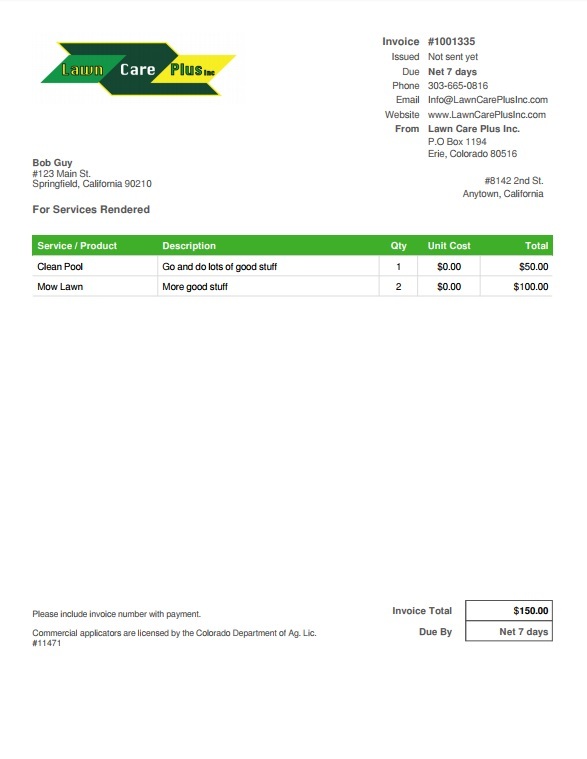 Lawn Care Plus invoices all of our services online through a field service management software. You should receive an electronic invoice following each service or at the end of each month with routine visits. Once you have received your first invoice, your email address will become your access to the account page and payment portal. Please contact our office if you have not received an invoice or if for any reason there is an issue with your account status. Please have your billing email and invoice number ready. All payments are processed through AES-256 encryption, the most stringent security available in the payments industry. Please send an email or leave a voice message for weekend services. Messages are checked regularly even when the office is closed!